Macy's is having a closeout sale on so many items. 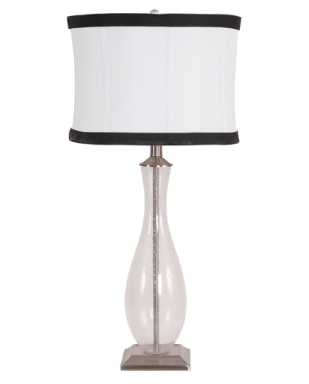 This Crestview table lamp is one of them. Originally $149, it is now $49.97 and oh so fabulous. In case you didn't know already, Elle Decor now has a line at Kohl's. You can't beat Elle Decor style for Kohl's prices...especially when those prices are even lower because of a sale! 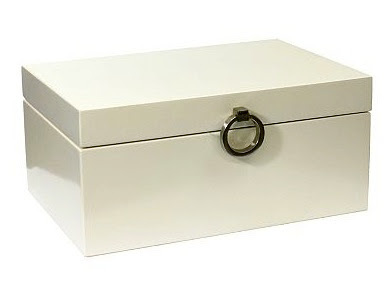 This Elle Decor box was originally $39.99 and is now $19.99. It would be great for housing jewelry or for holding remotes and other trinkets that clutter your coffee or side table. 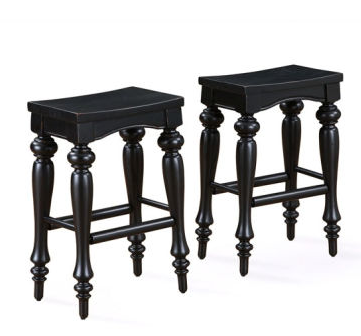 These stools are a nice spinoff on the saddle stools that everyone has now. I love the detailing in the legs and the slightly distressed look. Originally $104, these Powell Pennfield stools are now $52 each with free shipping! This jute and bamboo collapsible tote is available at World Market. 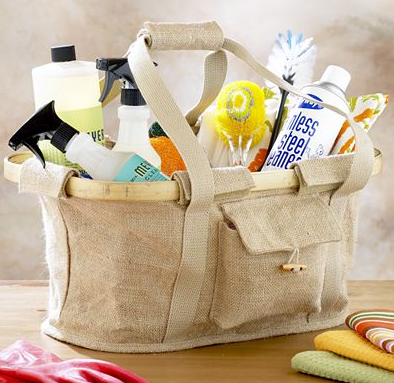 These totes are great for carrying things around the house (as shown here), to a tailgate or picnic, home from the grocery store, etc. They usually run around $30. I have a red nylon one that I use all of the time. But I really loved the look of this one...jute, bamboo...yes please! In fact, I loved this tote so much, that I ordered one for myself! And it helps that it's on sale for $9.99 (originally $19.99). These make great gifts too!...especially when monogrammed.